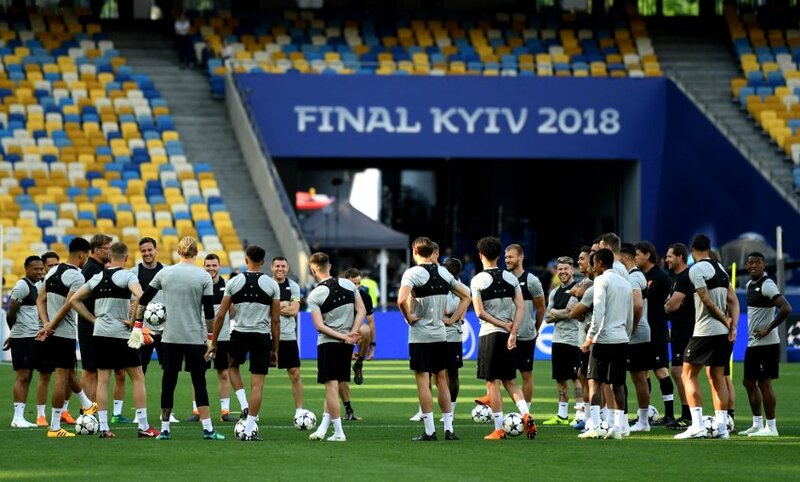 Follow LIVE updates as Liverpool prepare to contest the 2018 Champions League final against Real Madrid. We'll bring you all of the build-up, action and reaction - including club messages, news, views, videos, photos, stats and more - as it happens right here. All over in Kiev and it's heartbreak for the Reds. Sadio Mane's leveller after Karim Benzema opened the scoring offered hope, but Gareth Bale's double off the bench ultimately decided the final. 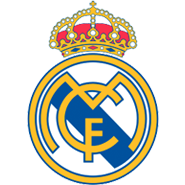 Benzema takes his leave, with Asensio his replacement. Bale has his second as he lines up a shot from distance that swerves and deceives Karius, who can only push it into his own net. 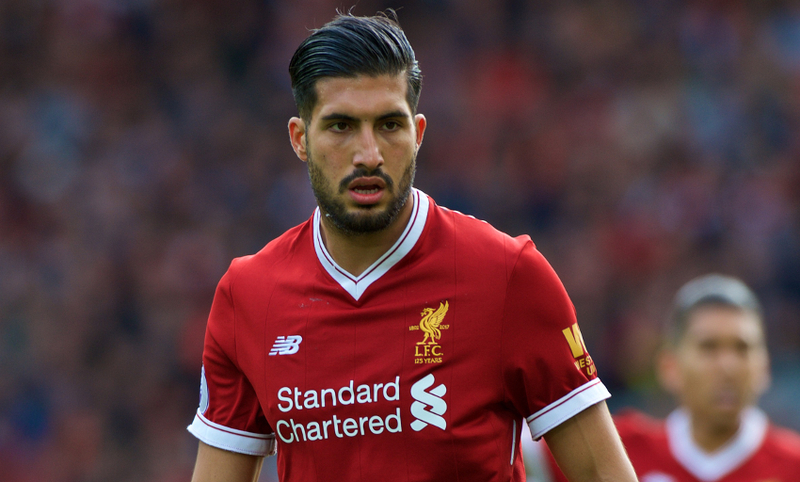 A change for Liverpool, Emre Can replacing James Milner. Mane steps across Ramos trying to block a pass and the Spaniards throws out a theatrical dive to win a foul. Bale swings a cross to the back post where Benzema is waiting to volley but Karius does well to punch away. 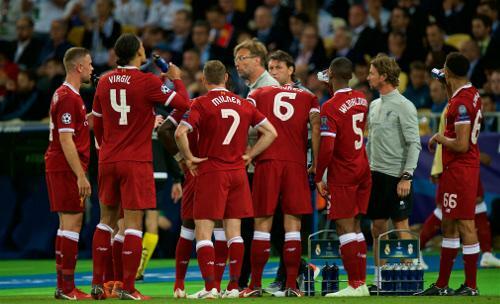 Do or die time now for Liverpool. What a challenge from Andy Robertson! Ronaldo looks clean in on goal from a ball over the top but somehow Liverpool's left-back gets in to make the tackle - genuinely world class. A quick exchange around the Real box lets the Senegalese get a left-footed shot off but it cannons back off the upright. The Spaniards get their noses back in front. Bale meets a cross from the left with a frankly ridiculous overhead kick that gives Karius no chance. Real Madrid make a change, Gareth Bale replacing Isco. The Reds straight back in it! Dejan Lovren leaps like a salmon to meet a corner and powers it toward goal, where Sadio Mane pokes it home. Karius looks to pick out a teammate with a quick throw but Benzema sticks a leg out and diverts it home. Real Madrid hit the bar. Adam Lallana tries to cut out a cross but only directs the ball to Isco, who has plenty of net to aim at with Loris Karius charging out. The Spaniard is seemingly put off by the aggression of Liverpool's goalkeeper, however, and strikes the woodwork. Real Madrid get the game restarted. Jürgen Klopp has work to do at the break, with Real Madrid starting to tighten their grip on the game as it progresses. The half-time whistle goes and it's goalless at the break in Kiev. The Reds started the game the better of the two sides but Zinedine Zidane's men grew into things as the half wore on, particularly following Mohamed Salah's departure. Real Madrid have the ball in the net but it's not going to count. Ronaldo brings a save from Karius with a towering header but Benzema is offside with the follow-up. Real now make the change as Nacho enters the fray. Dani Carvajal is now down and looks just as crestfallen as Mohamed Salah before him. The Real Madrid man looks set to come off. 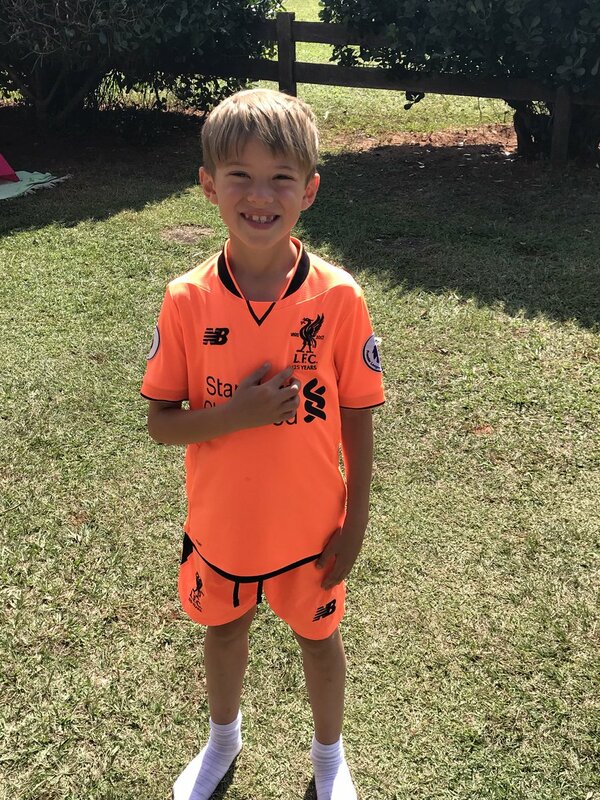 Here comes Adam Lallana for Mo. Go on, lad. Mohamed Salah goes downa nd it looks like he won't be able to carry on after sustaining a shoulder injury moments ago. Heartbreak for the Egyptian, who is in tears as he leaves the pitch. A big chance for the Reds. Roberto Firmino sees a shot from a James Milner cross blocked but Trent Alexander-Arnold is on the follow-up on the right of the box. Unfortunately, Keylor Navas does well to get down and stop it. A reminder of your starting XI this evening. Liverpool lose the ball in a dangerous position and Ronaldo bears down on goal in ominous fashion. 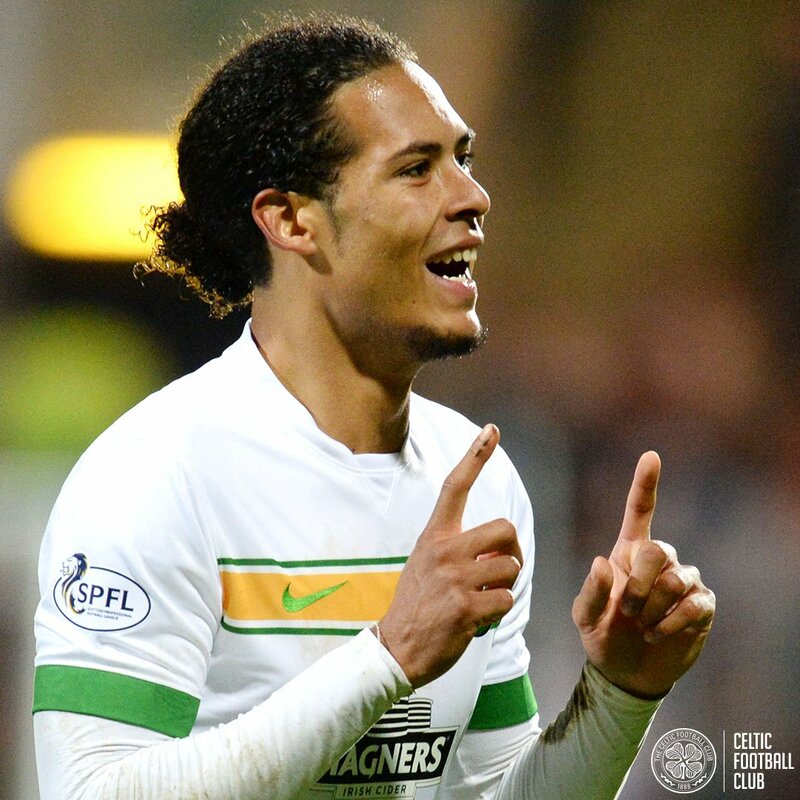 The Portuguese can't finish from the tight angle Van Dijk allows him, however. Marcelo twists and turns 25 yards out before unleashing a shot but it drags well wide. 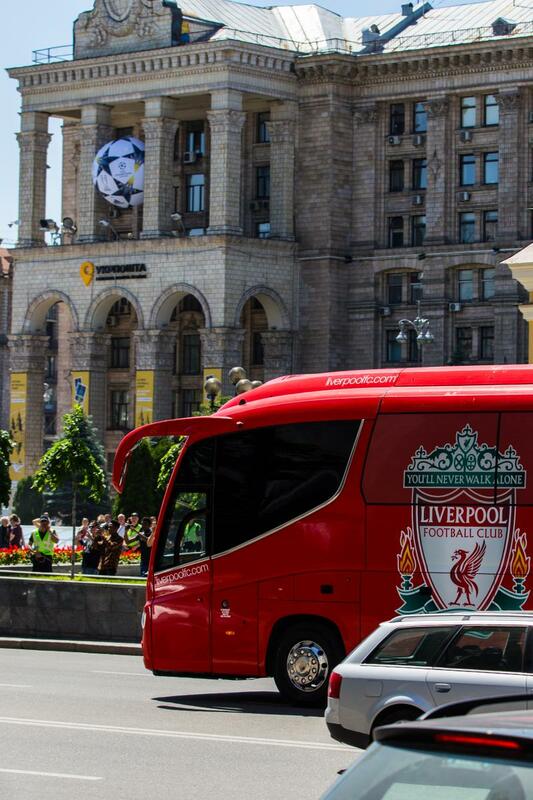 Strong start from Liverpool in Kiev. The Reds' pressing working a treat whenever Real Madrid try and build things up from the back and there have been half chances already. Liverpool get an early chance from a press in the Real half but Sadio Mane is just beaten to the ball. At the other end, a cross aimed towards Ronaldo brings an offside flag. James Milner gets the game under way. The Champions League theme is done - we really are nearly there now. Dua Lipa's firework-laden performance comes to a close and now it's time for football. The warm-ups end to the soundtrack of a spine-tingling rendition of 'You'll Never Walk Alone' from the Liverpool fans - that was special. Wow... the whole squad emerges and the Liverpool end absolutely erupts. What a noise! The Liverpool end of the stadium is practically full already - and in great noise - and the travelling fans have just greeted the Reds' goalkeepers as they emerged first to warm up in front of them. An incredible fact from The Times' stat man Bill Edgar, here. "Trent Alexander-Arnold is the first teenager to start a European Cup/Champions League final in defence since Johan Neeskens played right back for Ajax v Panathinaikos in 1971." Large swathes of the stadium decked out in red as we close in on kick-off - almost two thirds of the ground, in fact! 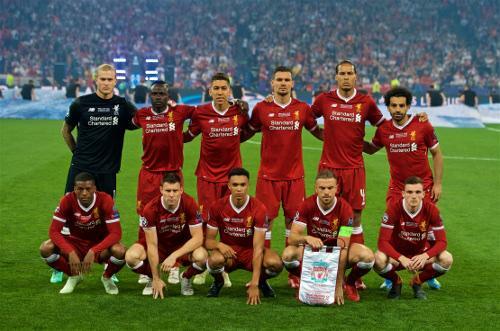 Here's your Liverpool squad to face Real Madrid in the Champions League final. 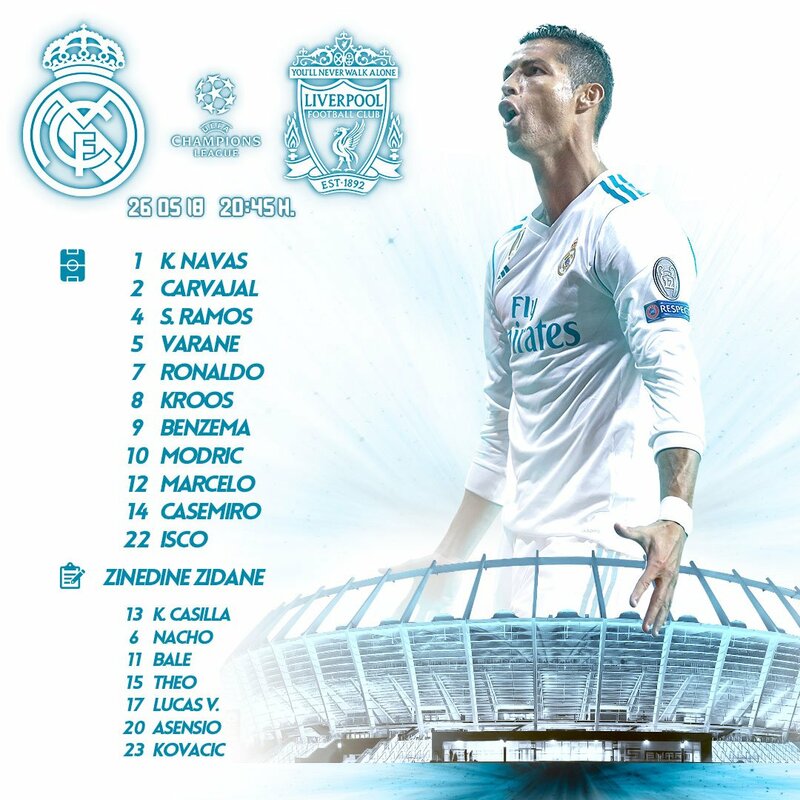 Starting XI: Karius, Alexander-Arnold, Lovren, Van Dijk, Robertson, Milner, Henderson, Wijnaldum, Mane, Salah, Firmino. Subs: Mignolet, Clyne, Klavan, Moreno, Lallana, Can, Solanke. 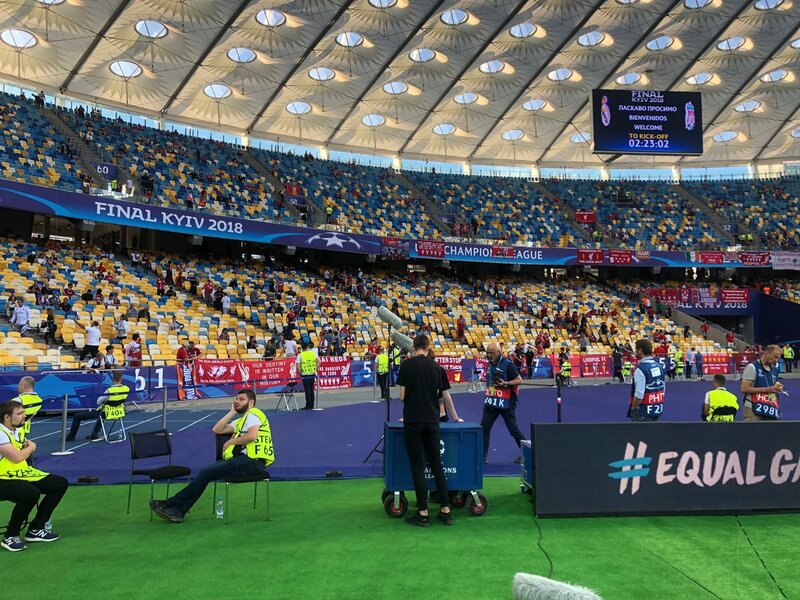 Liverpool have arrived at the NSC Olimpiyskiy Stadium and their journey into the depths of the stadium is drawing big cheers from supporters watching on the big screens at either end of the pitch. Nice to see injured midfielder Alex Oxlade-Chamberlain receive particularly warm applause from the travelling Kop. Some great banners already in!!! The European Cup has arrived at NSC Olimpiyskiy Stadium, with 2005 final hero John Arne Riise escorting the trophy to the ground. Let's hope he brings the Reds luck. 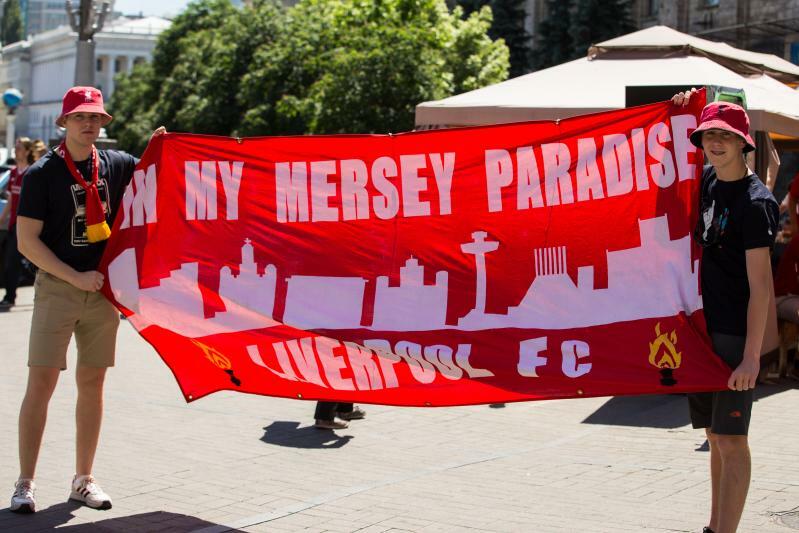 Liverpool fans have, quite simply, taken over Kiev. Here's how BETVICTOR are sizing up tonight's contest. Click here to place your bet now. 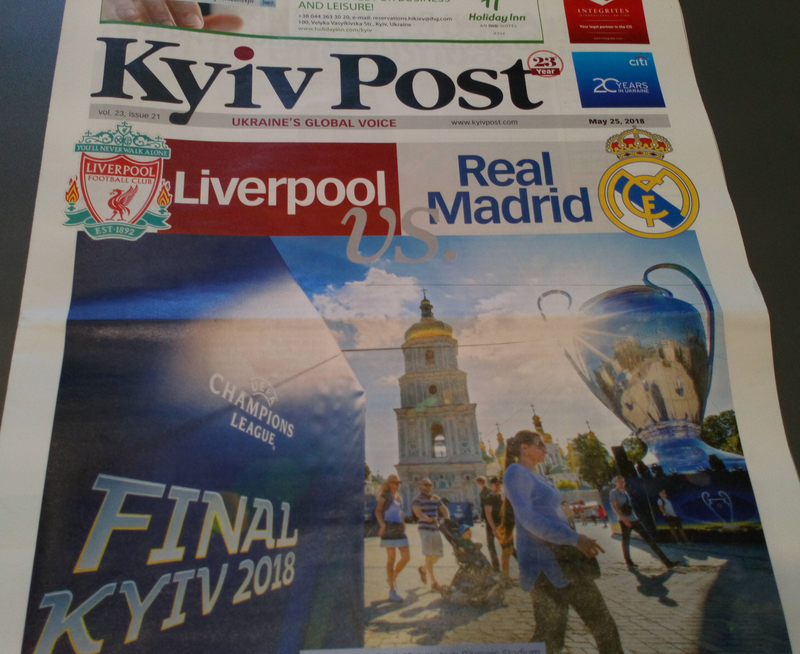 If you need information regarding the collection point for Champions League final tickets in Kiev, please email your membership/season ticket number on the booking to contactus@liverpoolfc.com and we will resend details to you. Here it is. The one you've been waiting for. 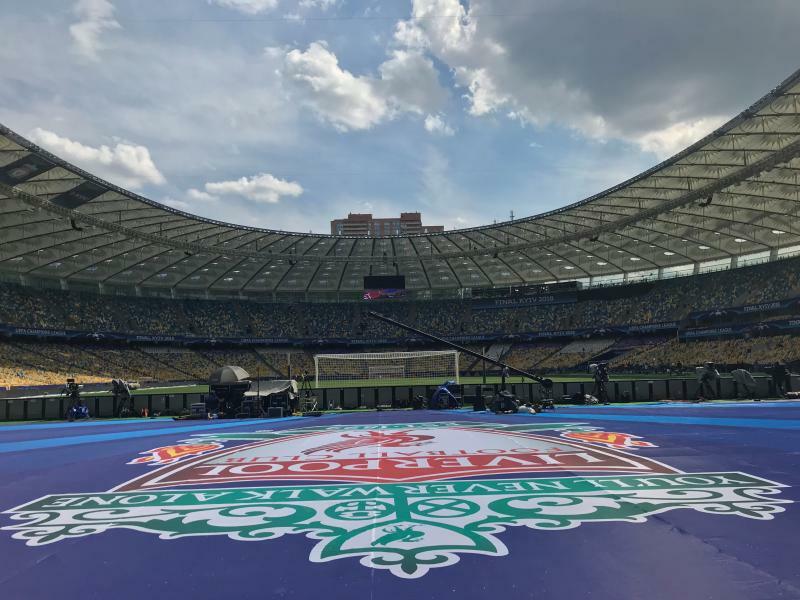 Liverpoolfc.com's official Champions League final weather update, live from Kiev. It's a lovely day in the city, with sunshine and warm weather. Temperatures are expected to remain around 21/22 degrees come kick off and no rain is forecast. So, no need for any coats or jackets. 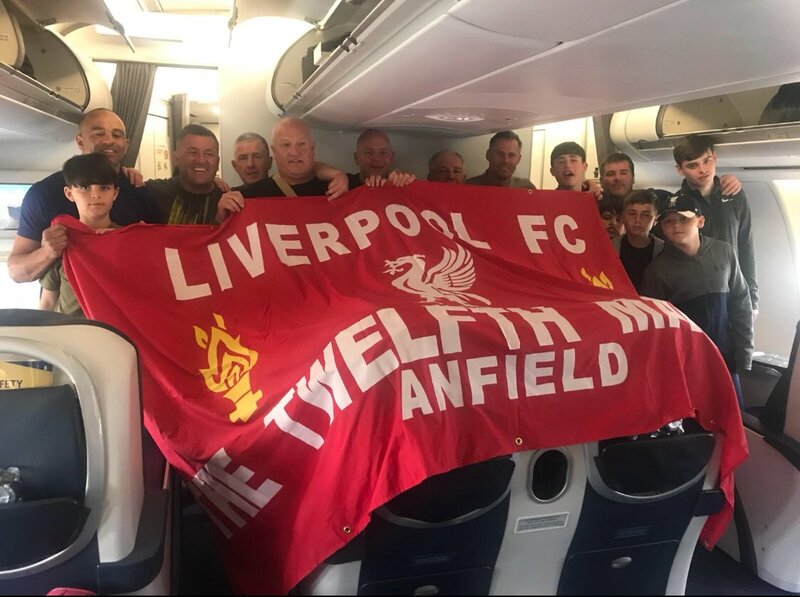 Liverpool FC has been made aware of the cancellation of a further charter flight to Kiev operated by Air Partner Ltd and booked through travel agents Myriad Travel and Crown Travel. 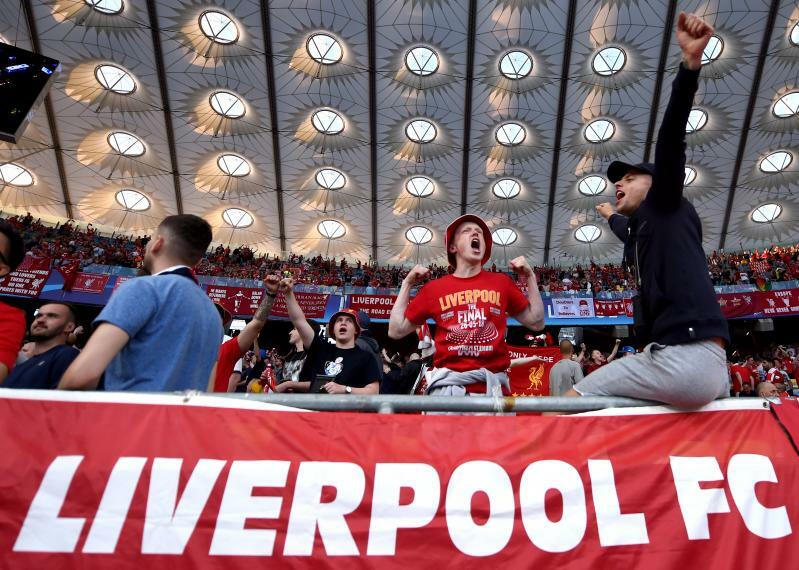 As with those affected by the cancelled or rearranged World Choice Sport flights, supporters due to travel to Kiev from Liverpool John Lennon Airport on flight number SVB116 will also be entitled to apply for a refund of their match ticket for the Champions League final. Click here for information on how you can apply for your refund. Watch the press conference below, live and free from 3.15pm BST. 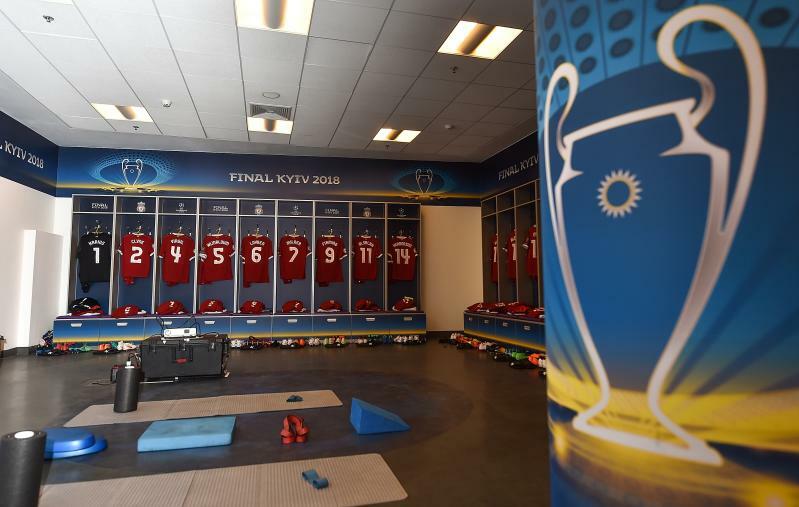 Virgil van Dijk, Jordan Henderson and Jürgen Klopp will shortly be at the top table for Liverpool's pre-Champions League final press conference here in Kiev. Don't forget, you can watch it live - and for free - from 3.15pm BST via our official YouTube channel. 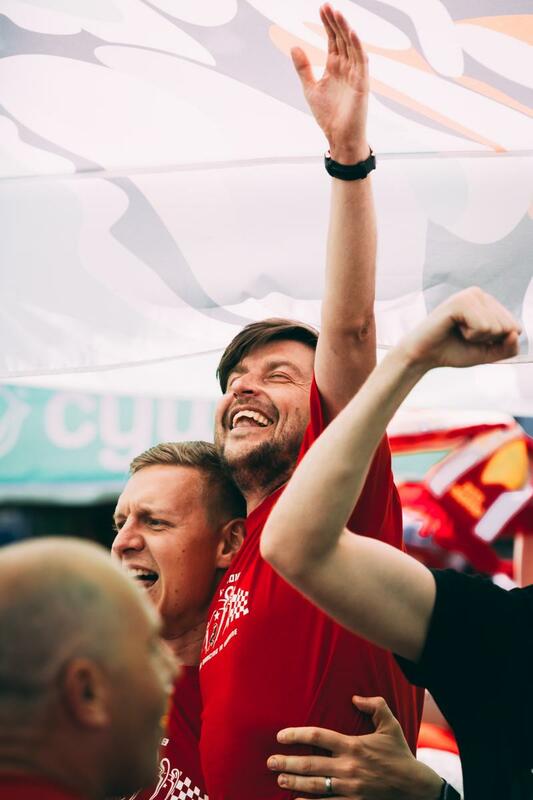 In light of the extraordinary circumstances surrounding the belated cancellation of flights to Kiev, Liverpool FC is offering affected supporters a full refund on match tickets bought directly from the club. A busy Friday awaits us in Kiev. 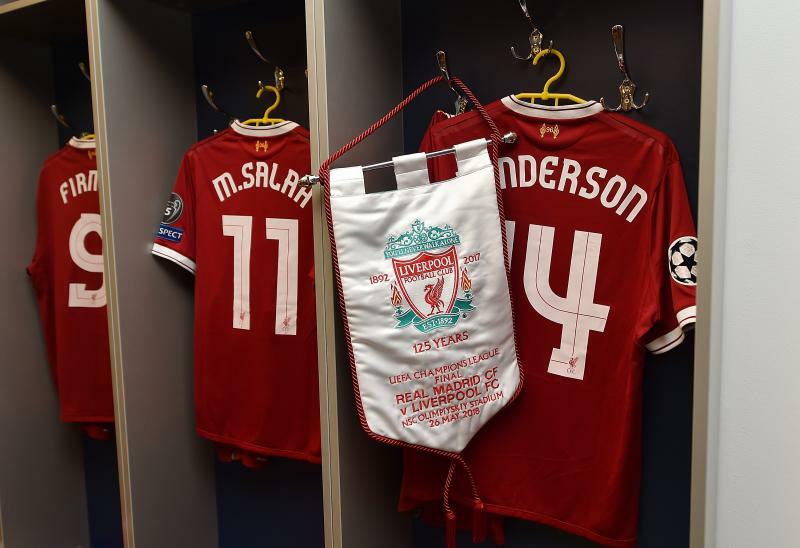 Liverpool's pre-match press conference is scheduled for 5.15pm local time (3.15pm BST), where Klopp, Henderson and Van Dijk will speak to the media on the eve of the final. Shortly after, the Reds squad will train at the NSC Olimpiyskiy Stadium. 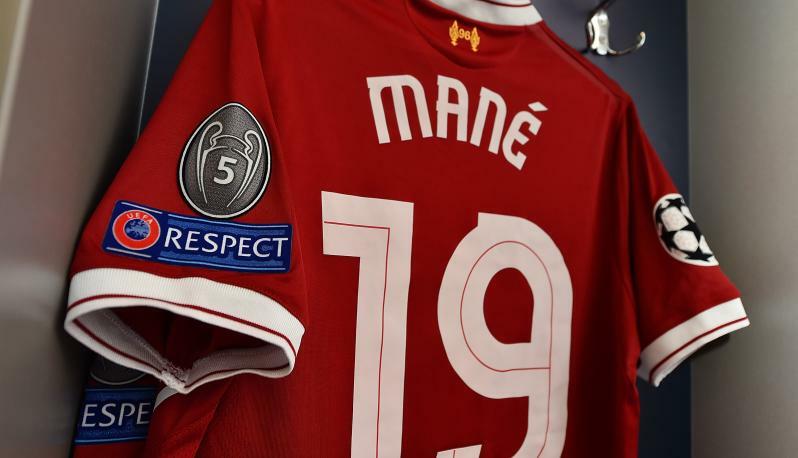 We will, of course, keep you updated on it all here on Liverpoolfc.com. 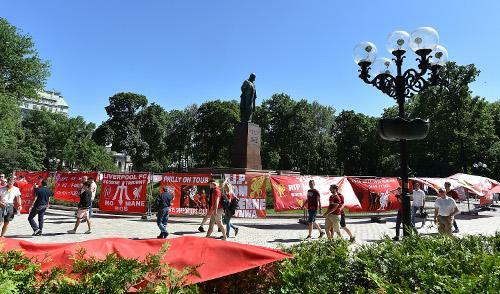 Liverpool Football Club is continuing to work with all of the relevant stakeholders in the UK and Ukraine in an attempt to resolve a situation which has left around 1,000 fans without flights to Kiev for the Champions League final. 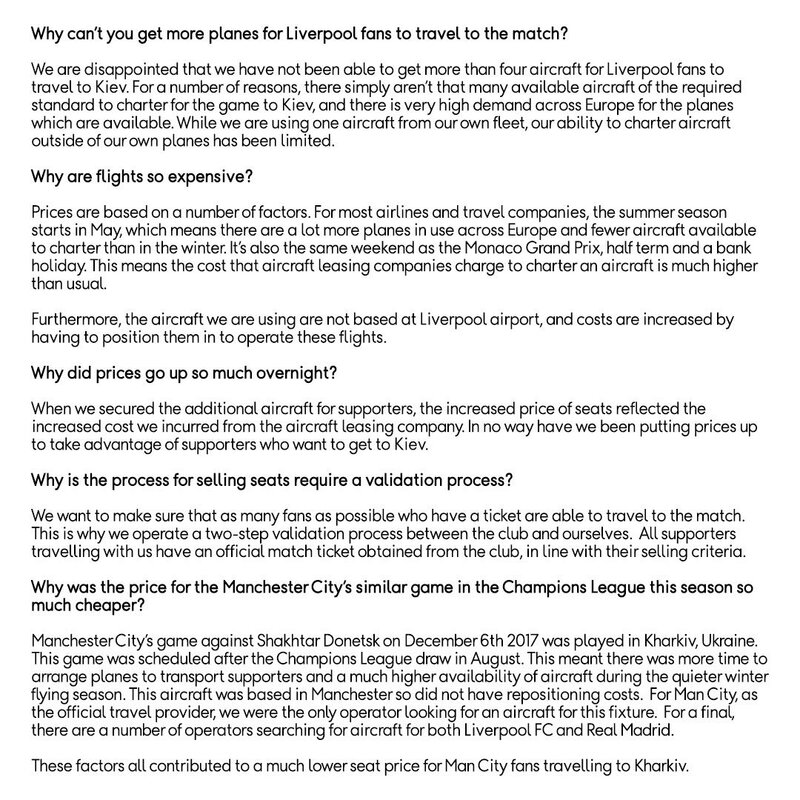 Flights chartered by World Choice Sports had been set to take supporters to Ukraine but a dispute between the Widnes-based travel company and the aviation authorities in Kiev over the size of the aircraft has led to the trips being cancelled. 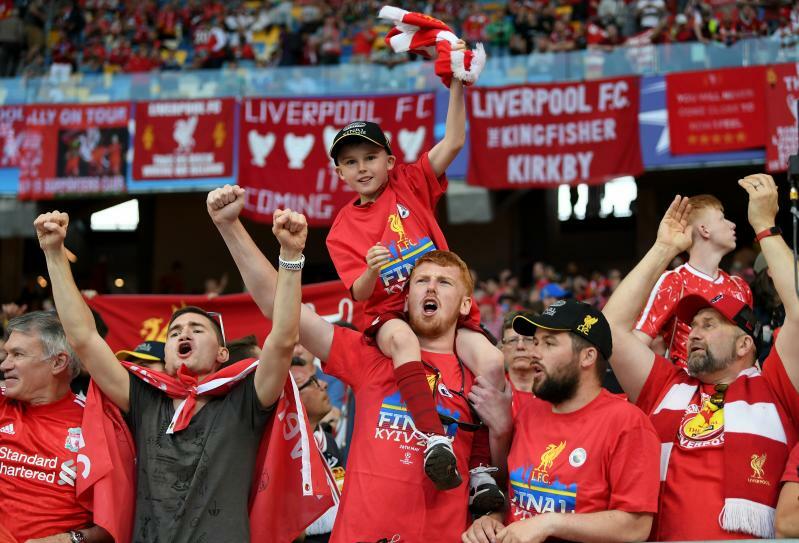 Along with officials from Liverpool John Lennon Airport, Liverpool City Council, UEFA and the authorities in Kiev, Liverpool FC have been endeavouring to resolve the issue since it first came to light and will continue to do so until all avenues have been exhausted. 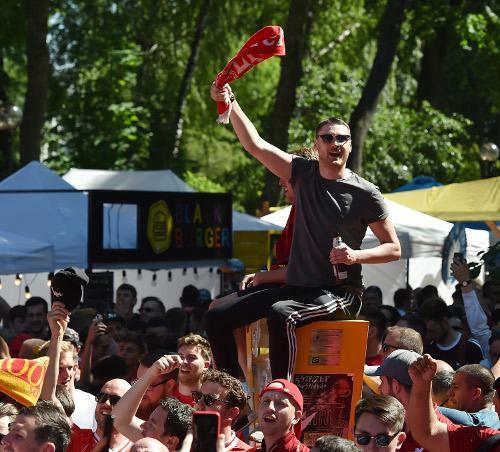 Fans attending the live screening of the Champions League final at Anfield, in association with BT Sport, can soak up the atmosphere ahead of the highly anticipated game. Paisley Square will be open to fans from 1.45pm with food and drink available to purchase. Unlike a matchday, there will be no live entertainment; however, the club’s Family Park will be open to all supporters four hours before kick-off with food and drink available. For fans wishing to purchase LFC and Champions League souvenirs, the Reds superstore will be open from 8am until 7.30pm. Matchday programmes will also be available to purchase from the store, fan zones and in a number of concourse kiosks inside the stadium. Turnstiles for the event will open at 5.45pm and fans can enjoy pre-match entertainment on the concourse including face painters, live music and have their photo taken with the European Cup. Food and drink kiosks on concourses will be open from two hours prior to kick-off until 75 minutes into the game - but will not be in operation in the event of extra-time. Fans can also order food to selected seats during the match or pre-order food to designated collection points using the Seat Serve app. 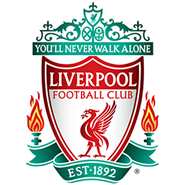 We recommend that fans download the app in advance from Anfield.SeatServe.com. Limited car parking is available in Stanley car park at a cost of £5. The 917 bus service will also be in operation offering a direct service to Anfield from St Johns Lane, and will depart from Walton Breck Road after the game. Fans should be aware that there will be temporary road closures in place around the ground ahead of the event, which are usually in operation on a matchday. Anfield Road will close from 3.45pm and re-open 45 minutes after the event. 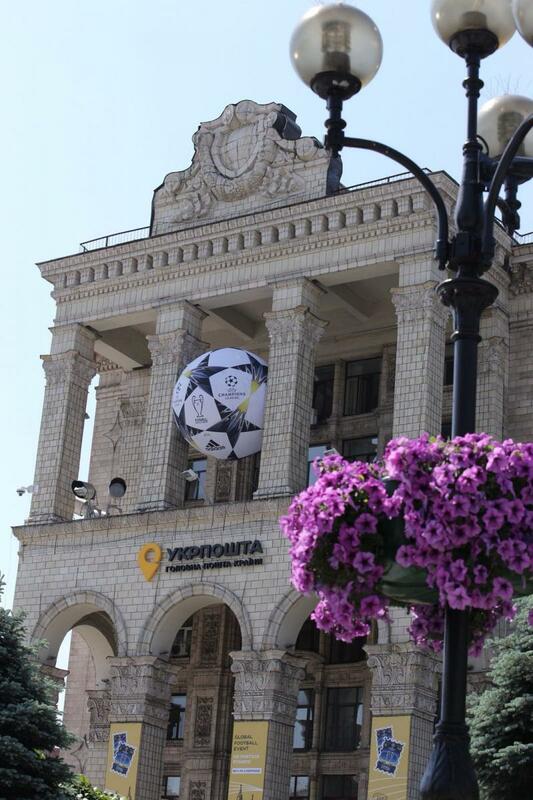 It's an absolutely glorious day here in the Ukrainian capital and, though the Liverpool invasion is yet to hit, preparations for the big day are well under way. 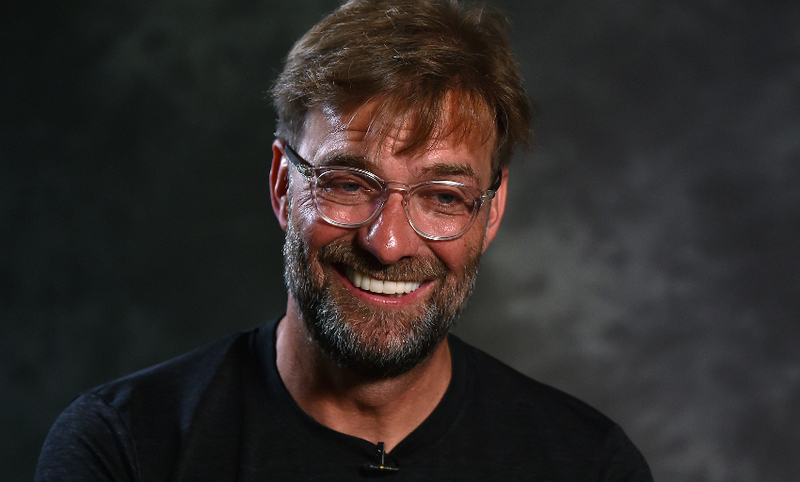 The manager recently gave Liverpoolfc.com an extended exclusive interview ahead of Saturday's final, reflecting on the 'exceptional' run that has taken his team to a decisive meeting with Real Madrid. Read the best of the chat with the boss by clicking here. 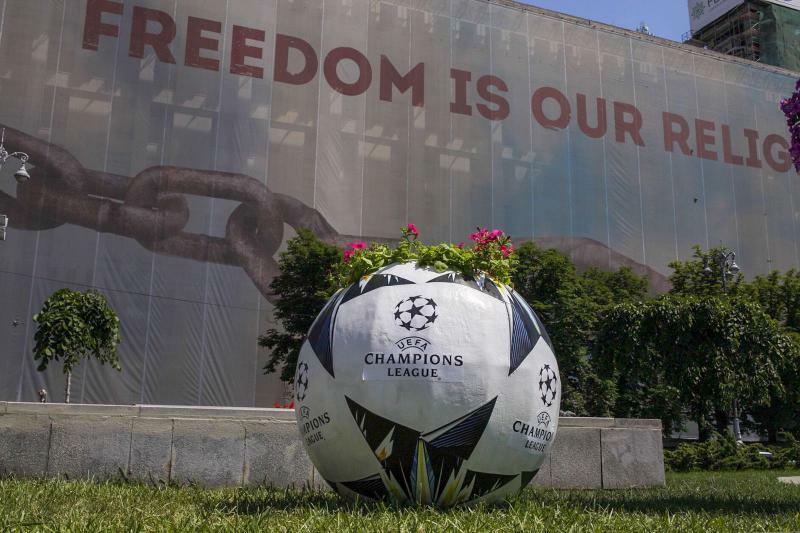 The deadline for collection of Champions League final tickets from Anfield is 5.45pm on Wednesday May 23. Our ticket office team are currently trying to contact the lead bookers who have yet to pick up tickets, and remind them of the collection deadline. 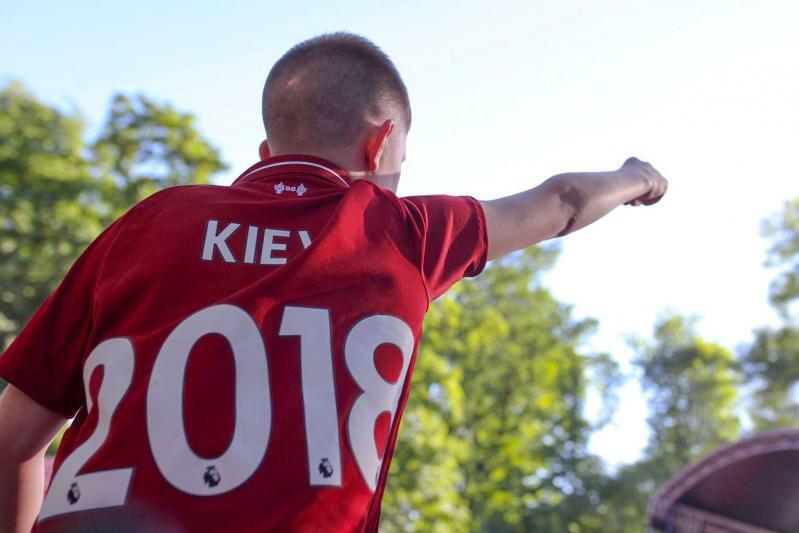 Tickets for the Champions League final screening at Anfield have all been sent out to fans who booked them and should arrive today (May 23) and tomorrow (May 24). None are due to be collected from Anfield. 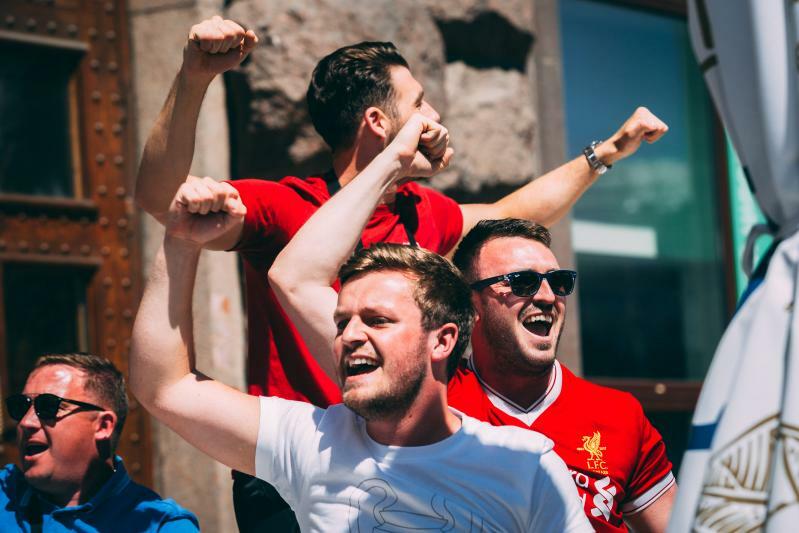 International supporters who are due to collect Champions League final tickets in Kiev should be aware that emails outlining the collection details are being sent out this afternoon (Tuesday May 22). Click here to access the latest travel information from the club. 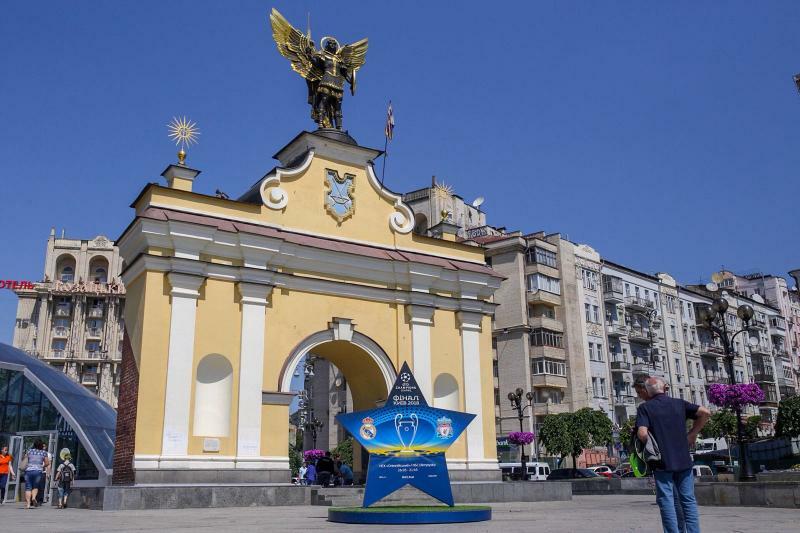 Also, UEFA and the Kiev local authorities have arranged free use of Kiev’s municipal public transport system between the hours of 6am on Saturday May 26 and 12pm on Sunday May 27, on production of a valid match ticket and travel voucher. To obtain a travel voucher, please click here. 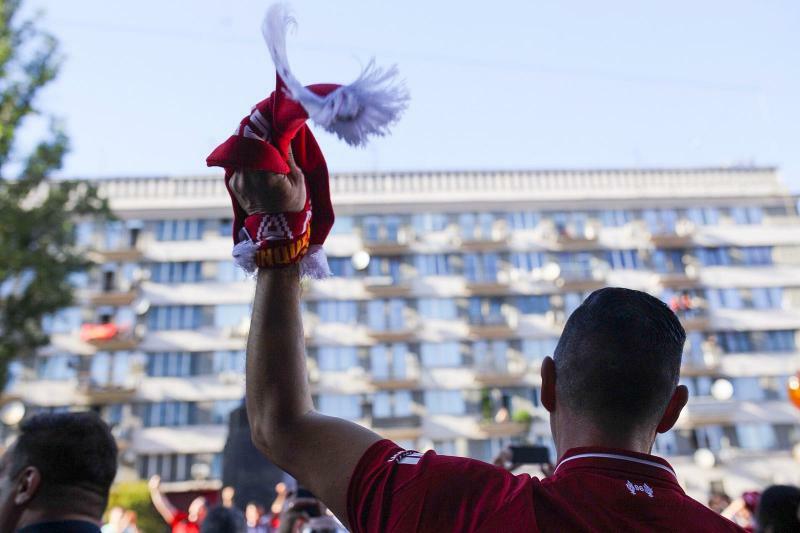 Liverpool Football Club is planning to entertain travelling fans with exclusive pre-match show at Shevchenko Park on Saturday, to get everyone geared up for what promises to be a historic night in Kiev. 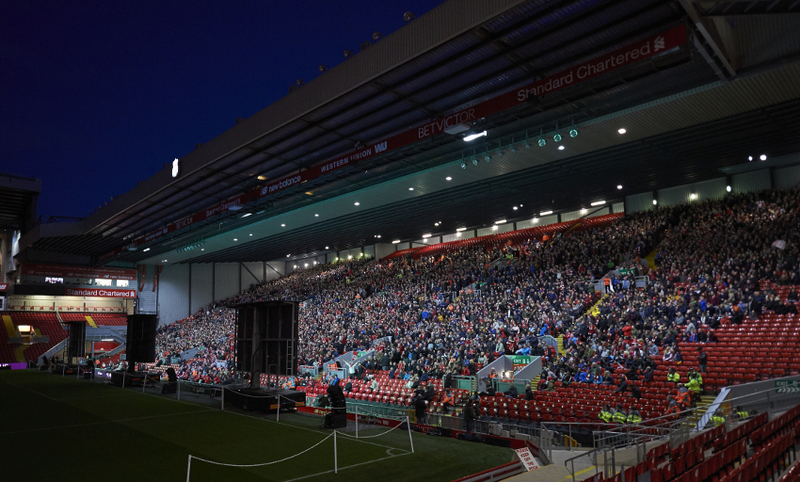 Supporters can enjoy live music and entertainment from fan favourites such as The Anfield Wrap, RedmenTV and BOSS Mag. A packed itinerary is on offer from 2pm (local time). 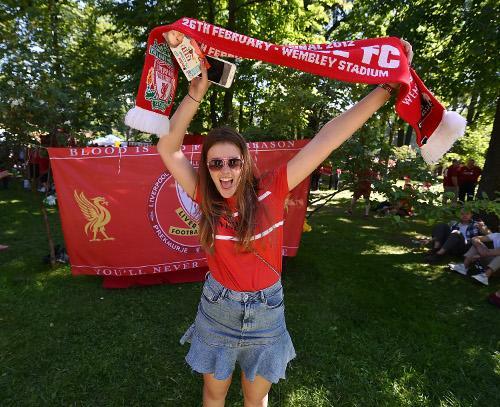 Are you travelling to the Champions League final? If so, make sure you don't miss our guide to Kiev, containing a stack of need-to-know information about the city. We would to thank those fans who have queued to collect their tickets at Anfield in the last few days for their patience. We are glad that the weather has been so kind and know that the chance to attend the final will have been worth the wait. If you are one of the lead bookers still to collect tickets, please take advantage of the fact we are open until 8pm BST on Tuesday. The last collection time at Anfield for Kiev tickets is 5.45pm on Wednesday, but we advise you arrive earlier in case of last minute queues. NB - If you do not collect by 6pm on Wednesday, you won’t be able to collect in the UK. 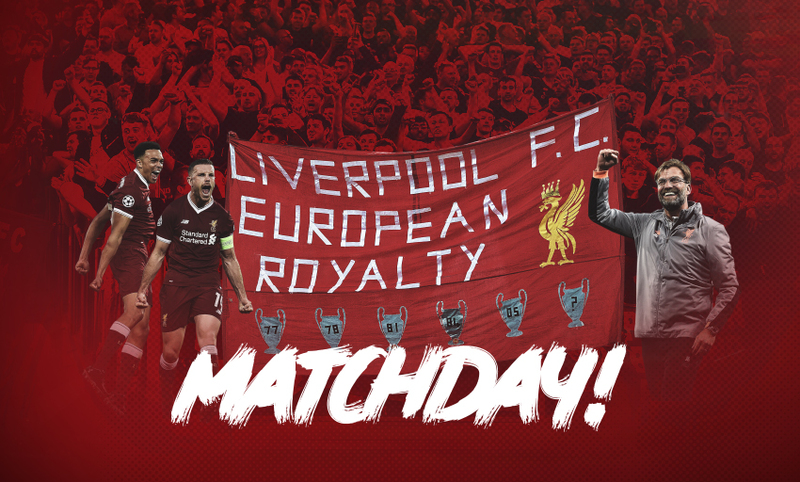 Please note that all tickets for the live screening of the Champions League final at Anfield will be posted out, today (Monday May 21) and tomorrow (Tuesday May 22). 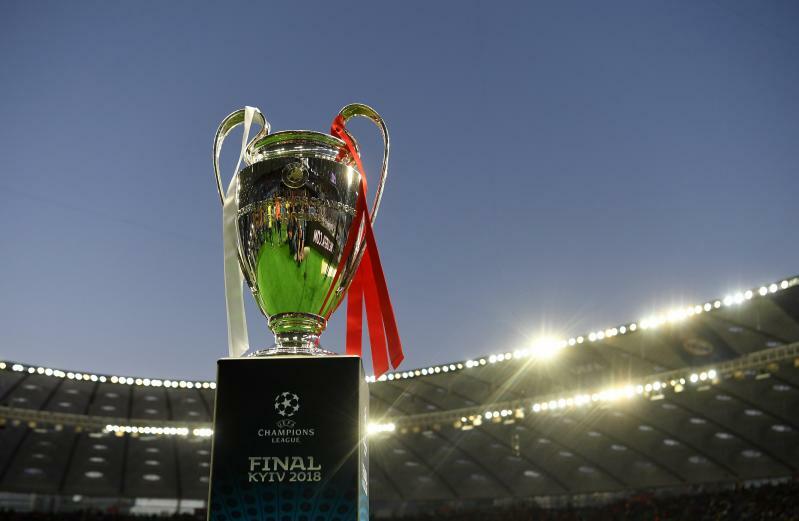 If you are due to collect your UEFA Champions League final ticket in Kiev, you will receive an email from us by the end of Tuesday. This will give you all the information that you need about where and when to arrive, and what ID you need to bring with you. Please check your inbox for the email, but if you haven’t had it by Wednesday morning, it may also be worth checking your spam/junk folder in case it has been directed there by your email provider. 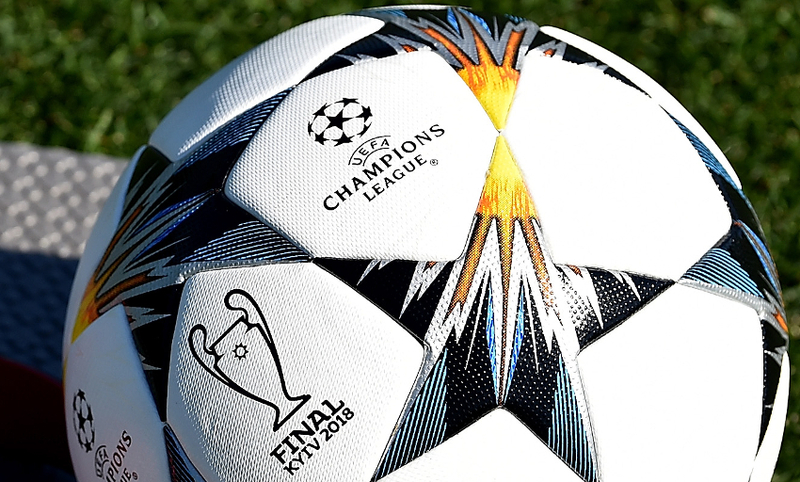 Liverpool FC would remind supporters that under no circumstances should tickets for the Champions League final be purchased from unofficial sources. 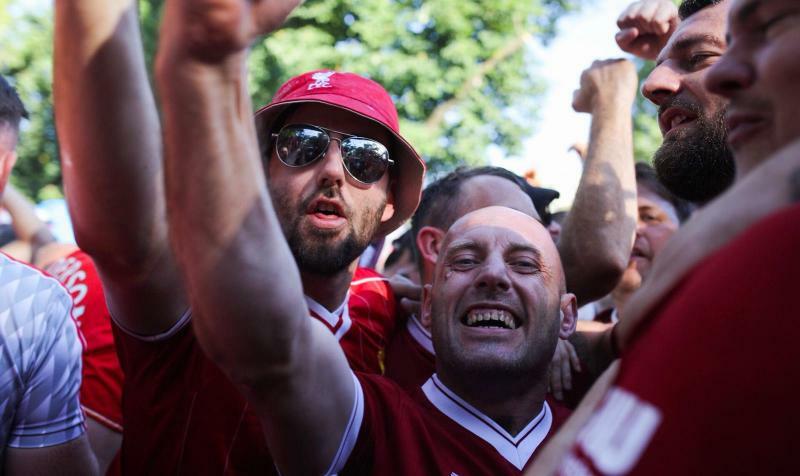 The entire 16,626 allocation that Liverpool received from UEFA for the final has now been sold and the process of distributing tickets is under way. The club is aware of instances of tickets being sold at extortionate prices, with a number of cases currently being investigated. 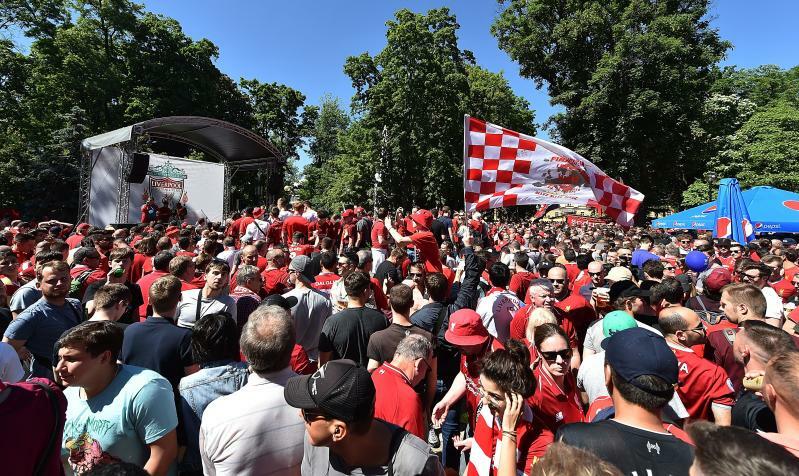 It remains a matter of deep frustration to Liverpool FC that genuine supporters are denied access to tickets because of unauthorised sales activity. Every effort is being made to prevent tickets being sold in this way and the club will take action against those identified as being responsible. Please make a note of the below if you need to collect tickets. Some more important information: tickets purchased on the 15/16 of May will be available for collection when the ticket office reopens tomorrow. 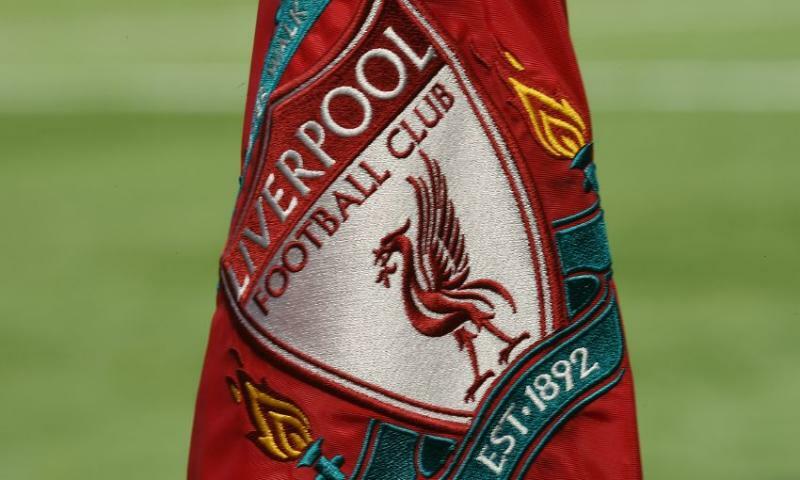 Liverpool Football Club can confirm that we have now sold out of tickets for the Champions League final. Following the sale to supporters on the ballot waiting list (positions 1-719), an extremely limited number of tickets remained. The remaining tickets were offered to supporters on the waiting list from positions 720-783. Supporters are advised that, in keeping with UEFA guidelines, all banners measuring 1m x 1.5m or above must be approved before they will be allowed into the stadium. To assist this process, Liverpool are asking fans to send photographs of their banners and accompanying fireproof certificates to stan.tickle@liverpoolfc.com at the earliest possible opportunity. The size of the respective banner should also be specified. In keeping with previous finals, the club wants to help as many supporters as possible to be able to take banners into the NSC Olimpiyskiy Stadium and the process outlined above will help us achieve that objective. The Reds have arrived in Spain and conducted their first training session in the sunshine on Wednesday evening. Click here to view our full gallery from Marbella. The club has released additional tickets for the Champions League final live screening at Anfield. Click here for more information. 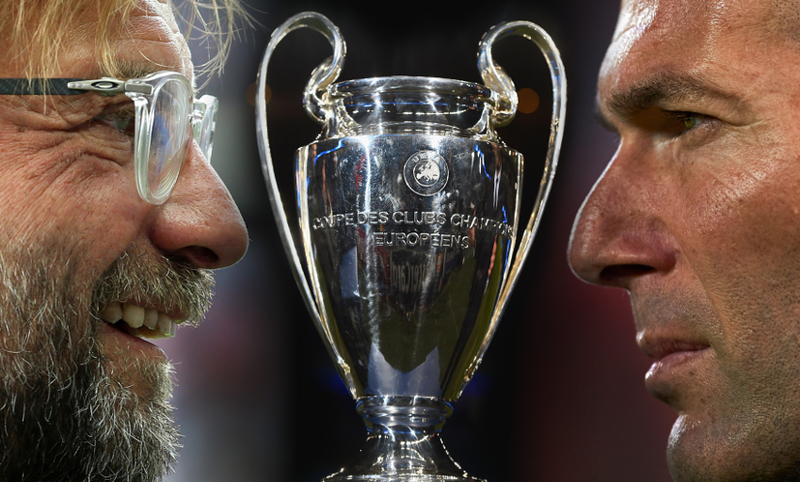 We are posting out all tickets for the Anfield screening of the Champions League final that were bought on Friday May 11. Supporters should receive these by Monday May 21 and no tickets are being held for collection at the Anfield ticket office. If we are able to release any more tickets for the screening for sale, these will be advertised and only sold via our website here. 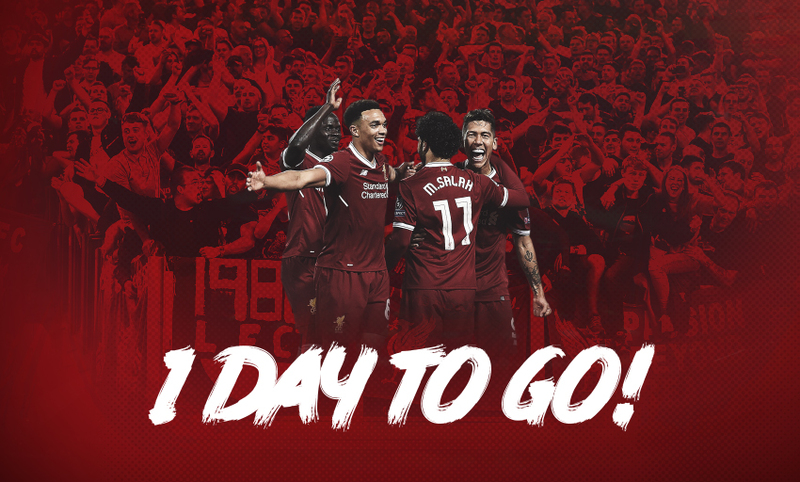 Tickets bought up to and including May 11 have already been posted or are ready to collect at Anfield depending on the delivery option selected by the lead booker at the time of purchase. Tickets purchased on Monday May 14 will be posted on Wednesday May 16. Collection dates for tickets bought on May 14 will be confirmed ASAP. Tickets purchased on Tuesday May 15 and Wednesday May 16 will be posted from Thursday May 17. Collection dates for tickets bought between May 15 and 16 will be confirmed ASAP. If you selected to have tickets posted then these tickets are being sent as Special Delivery via Royal Mail. If Royal Mail attempt but cannot deliver they should leave a card at the delivery address with information on how to collect the tickets from them. If you elected to collect your tickets from the ticket office at Anfield, please be aware that only lead bookers can collect tickets and must be ready to present the following. Your valid passport plus proof of address on an original utility bill (i.e. not a photocopy of a copy of a bill). Please note, the address shown must be the address used for the booking. The Liverpool squad departed for a four-day training camp in Marbella today, with Emre Can among the travelling party. The midfielder will continue his rehabilitation this week and will be assessed on a day-to-day basis to determine when he can rejoin training with his teammates. The Anfield ticket office will be open until 7.45pm today (Wednesday 16) and Thursday 17 for supporters collecting tickets for the Champions League final.